Some of these pertain to the longer-term future of Subud. Future generations may need access to Bapak’s talks, letters and papers, as well as to documents relating to the founding and spread of Subud. The WSA maintains and organizes an international archive collection located mainly in Australia and Indonesia. Thanks largely to the work of the late Faisall Sillem, all of Bapak’s and Ibu’s talks are preserved in audio format in recent technology and are kept in three international locations. 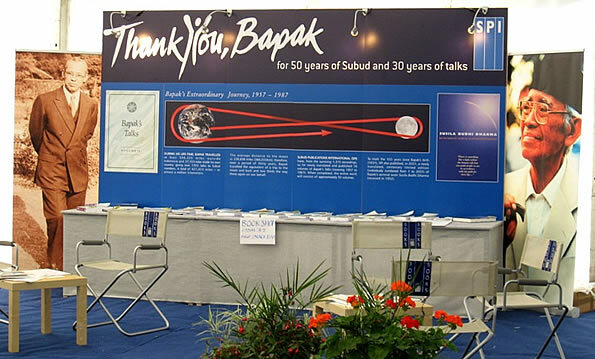 The WSA works with Subud Publications International (SPI), which produces the officially translated collection of Bapak’s talks in English, and the WSA also oversees the translation of Bapak and Ibu Rahayu’s talks into other languages. Additionally, the WSA owns the trademark for the Subud name and symbol, as well as the copyright for the talks of Bapak and Ibu Rahayu, and it endeavours to protect these for the long term future of Subud. The WSA has an official historian, who is writing a well-researched history of Subud, of which two books have been completed, to record for posterity the early days of Subud. Other media programs also relate to more immediate communication needs. These include the many WSA and other Subud websites, the various newsletters and magazines and the publication and sale of other books about Subud.